Our Bobcat E20 Compact Excavators provide impressive performance in a small machine which is ideal for operating in confined spaces with minimal re-positioning. This versatile digger is commonly used for all kinds of construction, demolition and groundwork projects. The operator can hydraulically retract the undercarriage to a width of only 98cm so that the Bobcat E20 excavator can easily pass through narrow entrances and passage ways.It can then be expanded to 136 cm to create a wider footprint and improve performance.The E20 excavator has a zero tail swing making it versatile and easy to manoeuvre on confined sites. The optional fingertip-controlled boom offset and auxiliary offer the twin benefits of improved control of the boom swing and fitted attachments, as well as creating more floor space and comfort for the operator. Operating weight with standard bucket, excluding the operator 1,930 kg. You can find more information on the Bobcat E20 Specification Sheet. If your project involves groundwork such as boring holes to install posts,fencing, barriers, stanchions or planting trees we can provide an auger or borer attachment with your Bobcat excavator. 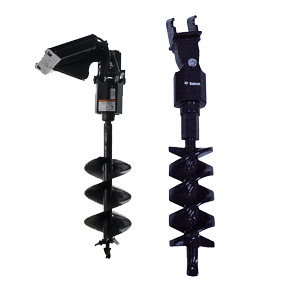 At JPM Plant Hire we have a choice of auger and borer attachments which will enable you to bore holes accurately into the ground with ease. The Bobcat E20 Compact Excavator has heavy-duty hydraulic power, which when used with these attachments will make light work of boring holes. 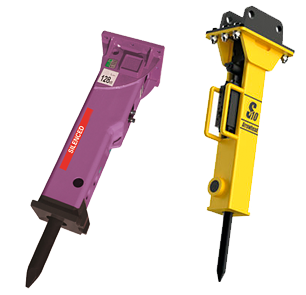 We offer excavator breaker attachments which can be hired for demolition tasks such as breaking concrete, paving or asphalt. We have a choice of hydraulic breakers which come with a choice of tools for use with the Bobcat E20 Compact Excavator. Our Bobcat E20 Compact Excavators are available for both short or long term contract hire. The Bobcat E20’s retractable undercarriage makes it compact and easy to transport, so the excavator easily fits onto a small trailer (which we can provide) or onto a flatbed truck. Customers may collect excavators from our depot or we can provide nationwide delivery. Our Hire Desk team will gladly assist you with professional advice and arrange the hire of your excavator and any attachment(s) that you require. Please speak to our Hire Desk team for more information on our Bobcat E20 Compact Excavators and attachments, or to arrange your hire.